As excited as I am to dress + play the part all weekend long in the desert… my hair, not so much! 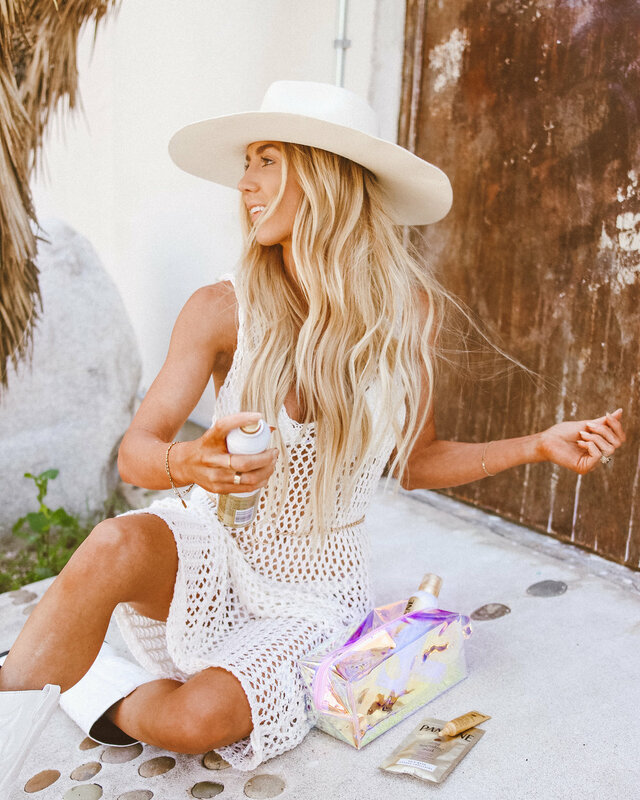 Fun festival styling and desert heat takes a toll on these long locks so we’re going to break it down step-by-step on how I plan to save my hair from all the festival madness. Who’s with me!? YES, AIR-spray not hairspray. 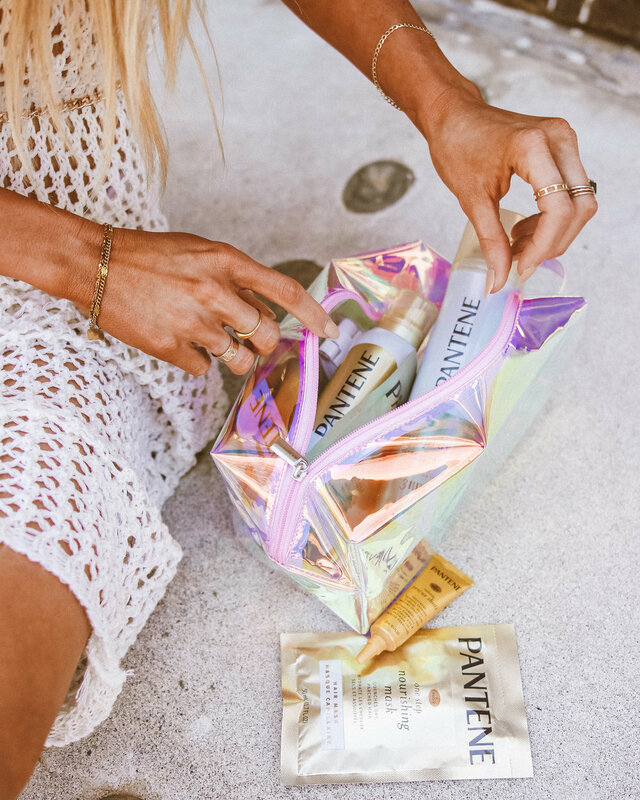 AKA a brushable alcohol-free hairspray that locks out the humidity, adds shine, and leaves a light weight finishing touch to all your festival styling. I’m obviously planning on overdoing my go to braids so YES, my hair is smizing inside right now- she tends to HATE the alcohol in hairspray. Did I say GENIUS yet!? Honestly don’t know what more to say besides LIFESAVER. Between the photos, events, concerts, *trying* to be social, parties (insert hangovers)- no one has time to wash their hair more than once, and that’s a stretch. Insert dry shampoo. This stuff absorbs oil and instantly refreshes hair without having to wash it. The holy grail to busy girls; fake it til you make it. Frizz what? My thoughts exactly and then I got extremely mad at myself for not knowing about it sooner. Think of a flat iron but minus the heat and portable (like smaller than your car keys, portable) and voila. A heatless, portable flat iron that helps control frizz, and refresh your hair WHILE on-the-go at the concerts. Can I say genius to more than one product or is that against the rules here? Anyone, anyone? So we’re post festival now and your hair probably hates you. (This is normally where I pray for a miracle + Pantene to the rescue) It’s truly amazing how much damage 3 days can be on your hair. A dollop of this baby for an instant hydration boost is the tea. I wash my hair, leave this on for 5 (or 20 if I’m feeling wild) and the shine festival weekend took from me, is back, babbyyyy.